He’s best known to Cavern dwellers as one quarter of the Cavern Club Beatles – one Lennon-shaped quarter to be precise. But Jimmy Coburn is stepping out from occupying the shoes of the late music legend this weekend to launch his own album of original tracks. He’s not going too far however, with the official unveiling of Waterloo Key taking place in the Cavern Live Lounge on Sunday, November 11. Read more about the launch event HERE. The album’s punning title is taken from a track of the same name which Jimmy penned during a flurry of songwriting last year – inspired by a move to the Liverpool waterfront which, it appears, really opened the creative floodgates. Jimmy, who was part of The Blue Meanies before forming the Cavern Club Beatles with brother Tony six years ago, explains: “I felt like I wrote it in two months, it just came so fast. The Mersey view certainly seems to have fired his imagination, with Jimmy coming up with lyrics and tunes as he stared out at the water, watched over by the nearby Liver Birds on the Royal Liver Building, or while walking home at night after playing in Mathew Street. Among his favourites on the album are Outside My Window, which was the first song he penned after moving to the waterfront and is also the first song on the album. “It’s about getting up and doing something new,” he says. “And it made me want to go and write more. 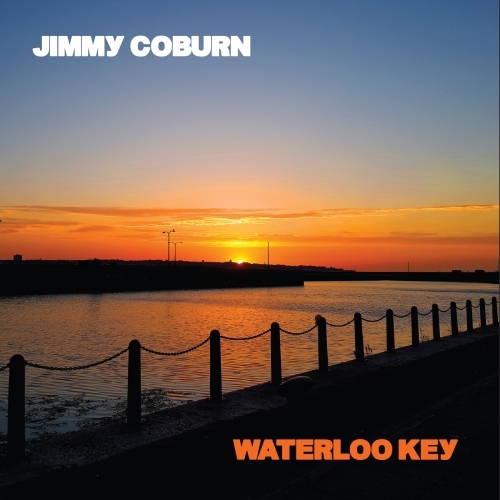 Jimmy recorded Waterloo Key in Leicester with musician Rick Willson, whom he’s known for a decade, building the tracks together, and with Jimmy playing both guitar and piano along with his lead vocals. This weekend’s launch in the Live Lounge will see Jimmy accompanied by a five-piece line-up. The evening’s entertainment also includes a set by the Cavern’s Scott Beckett, and an appearance by jazz blues band Amanda and the Common Ears. CDs and vinyl of Waterloo Key will be available to buy. And it seems the Mersey is still working its magic on the musician.